my destiny is to memorize this song! 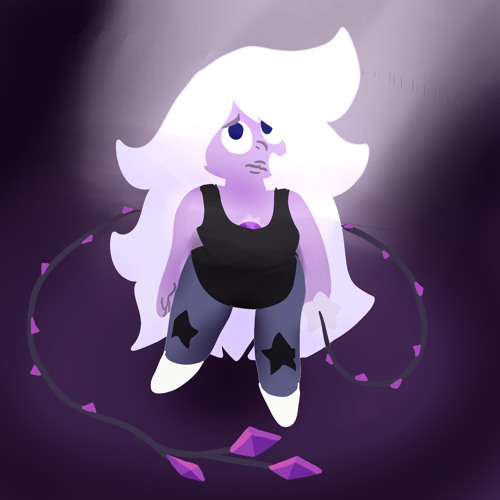 AMETHYST HAD A MENTAL BREAKDOWN!!!! why do I hear horcruxe?! How does stronger than you have 80 likes but this has 2,000? THIS SONG ITS SO COOL!! Alright, I'll give my two cents. I'm not a fan of this song. The beat and sped up voice just doesn't work. Even in the later parts of the song, it doesn't work. The whole song is quite somber, but this just doesn't feel right. It's like turning Moonlight Sonata into a nightcore song. It doesn't feel right, because it's not meant to be like that. Do understand I'm not insulting you, merely just explaning my dislike for this remix. I do like your other songs, Jake. Good luck.